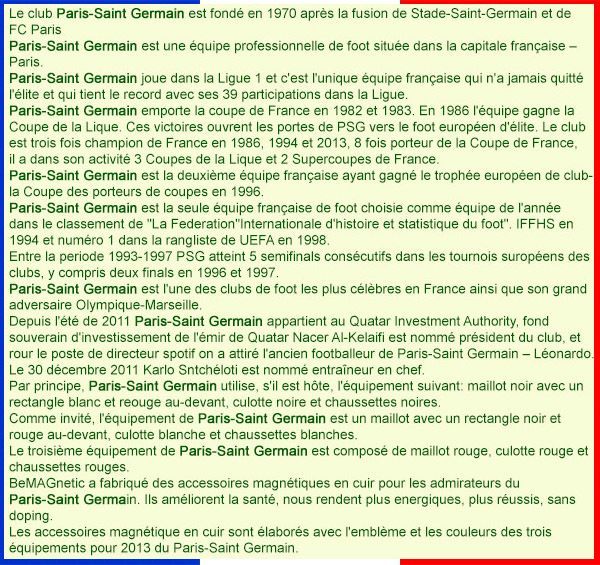 Paris Saint Germain is created in 1970 after the merger of Stade Saint Germain and Paris FC. 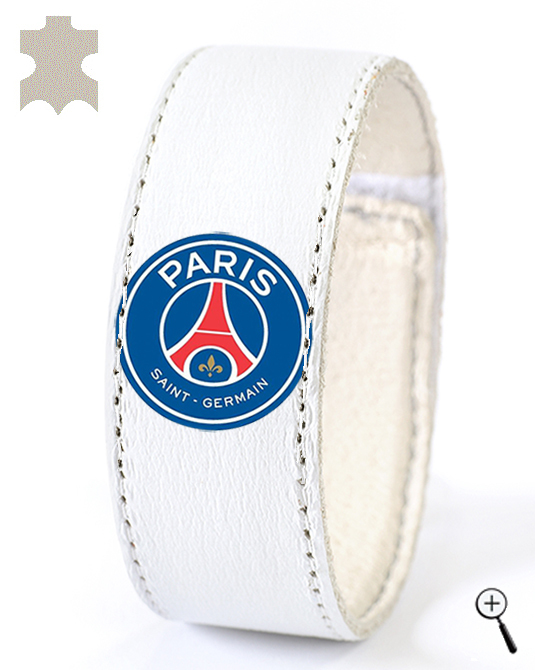 Paris Saint Germain is a professional football team, positioned in the French capital Paris. 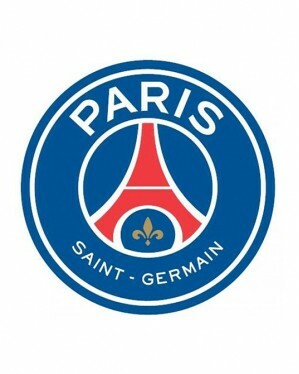 Paris Saint Germain play in Liga1 and is the only French team that never left the elite and has record with his 39 appearances in the league. Paris Saint Germain won the French Cup in 1982 and 1983. In 1986 the team won the League Cup. These victories opened the doors of Paris Saint Germain to the elite of the European football. The club is three times champion of France in 1986, 1994 and 2013, 8 times winner of the Cup of France, has also three League Cups and two Supercups of France. Paris Saint Germain is the second French team that won the European club trophy - Cup of Winners' Cup in 1996. Paris Saint Germain is the only French football team elected as team of the year in the ranking of "The International Federation of Football History and Statistics" IFFHS in 1994 and number one in its annual rankings of UEFA in 1998. Paris Saint Germain is one of the most popular football clubs in France along with his great rival Olympique Marseille. Since the summer of 2011, Paris Saint Germain is owned by Qatar Investment Authority, the sovereign investment fund of the Emir of Qatar. As president of the club was appointed Nasser Al-Kelaifi, and for the post of sporting director has attracted the former player of post - Leonardo. Since 30 December 2011 for head coach of Paris Saint Germain become Carlo Ancelotti. The home kit of Paris Saint Germain, is a black shirt with white and red pravoyagalnik in the front, black shorts and black socks. The team for the visit of Paris Saint Germain is a white shirt with black and red rectangle in the front, white shorts and white socks. 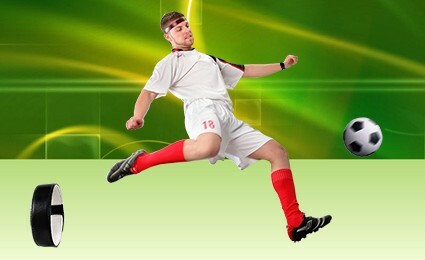 The third kit of Paris Saint Germain is red shirt, red shorts and red socks. 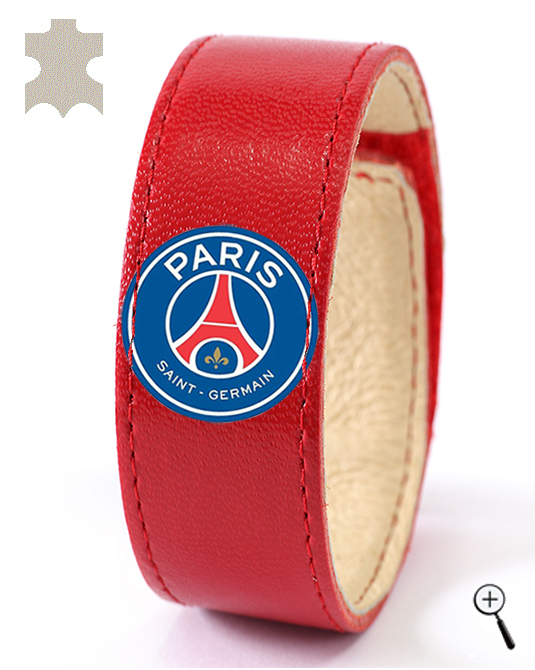 BeMAGnetic design magnetic leather accessories for fans of Paris Saint Germain that improve health and make people more energetic and more successful without doping. 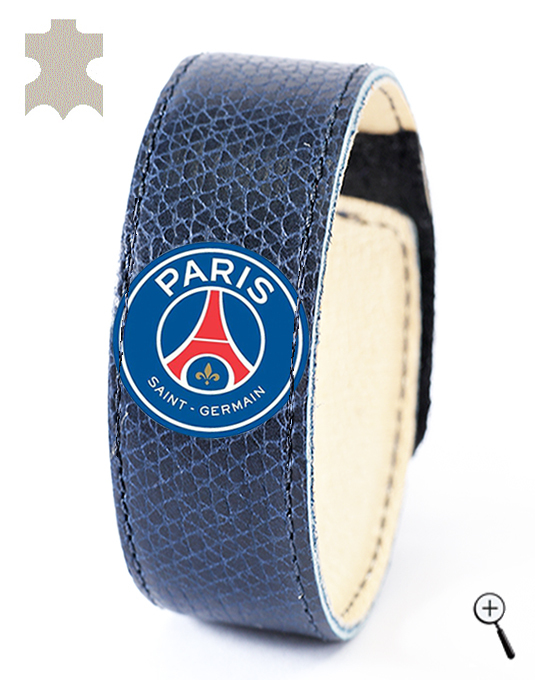 The magnetic leather accessories are made with the emblem and colors of the three kits of Paris Saint Germain for the year 2013.